JAMMU: The high-profile H1N1 Swine Flu Laboratory, which was sanctioned for Government Medical College & Hospital Jammu in the year 2015, couldn’t see light of the day till today as with cost escalation due to missing of several deadlines and retendering, the work on this important project is yet not complete. Highly placed sources informed The News Now that two H1N1 testing labs were approved by the State Government led by the then Chief Minister Mufti Mohammad Sayeed, out of which one was to be setup at Government Medical College & Hospital Jammu while another at Chest Disease Hospital Srinagar, which comes under Government Medical College & Hospital Srinagar. Astonishingly, there is no facility for proper and timely diagnosis of Swine Flu patients in Jammu so far. However, the Government Medical College & Hospital has created a separate Isolation Room in the hospital premises, where such patients are kept and provided treatment after they are tested positive. 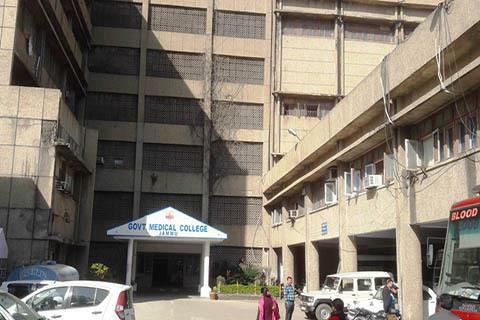 Talking to The News Now, a senior officer of the Health & Medical Education Department, on the condition of anonymity, informed that there was a court case pertaining to delay in establishing the Swine Flu Lab at the GMC&H Jammu as the JKMSCL had failed to purchase the equipments etc for the purpose in time. “The Court directed the administration of Government Medical College & Hospital to carry out the project at its own level and soon after it invited four companies related to the trade but none of them came forward and later, the hospital administration approached the National Centre for Disease Control (NCDC) New Delhi for suggestions and on their recommendation, it contacted Bio Safe Lab India Private Limited for the job, which has also installed a similar lab at Chest Disease Hospital Srinagar under Government Medical College & Hospital Srinagar,” he said. “As the work on Swine Flu Lab is in progress, it is most likely to be completed in the month of April or May this year,” he said in reply to a question about completion of the project.